Gymnasts are invited to join our competitive tumble programme after selection at a tumble trial session. These trial sessions are carried out yearly. Gymnasts selected for our competitive tumble programme understand that commitment to their training sessions and home training is necessary. Gymnasts who are not selected to join our competitive tumble programme are encouraged to remain in development tumble. In our training sessions we focus on building a solid foundation of strength, flexibility, speed and agility. This allows gymnasts to develop prior to building on this with acro or tumble skills. During all sessions we train gymnasts who we feel show potential however, are not at the stage for our competitive programme for Tumble Club Grades. This is a level of tumble which is more suited to beginner gymnasts and gymnasts who only train once a week. This is a fun level which allows gymnasts to improve and gain competition experience without it becoming too serious. Tumble C Squad – Gymnasts are invited to join our Tumble C squad after a trial session. This is headed by our Lead Coach Heather Mardle. Gymnasts are focussing on a solid foundation of strength, flexibility, speed and agility alongside gymnastic and tumble development. Gymnasts in this squad may be selected to represent the club at tumble competitions throughout the year. Tumble B Squad – Gymnasts are invited to join our Tumble B squad after a trial session. This is headed by our Lead Coach Stuart Langan. Gymnasts are focussing on a solid foundation of strength, flexibility, speed and agility alongside gymnastic and tumble development. 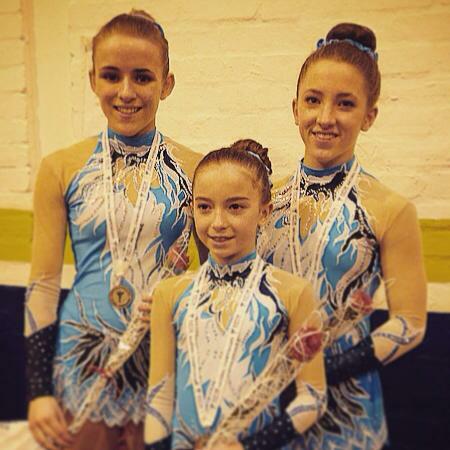 Gymnasts in this squad will be selected to represent the club at tumble competitions throughout the year. Tumble A Squad – Gymnasts are invited to join our Tumble A squad after a trial session. This is headed by our head coach Claire McLauchlan. Gymnasts in this squad are focussing on developing tumble skills in view of representing the club in a competitive context. Gymnasts are committed to the squad and their training programmes. They understand that the effort that they put into their training equates to results. Tumble Senior Squad – Gymnasts are invited to join our Senior Tumble Squad after excelling at a trial session. This is headed by our head coach Clare Langan. Gymnasts in this squad are focussing on developing tumble skills in view of representing the club in a competitive context. They are training to show excellence and win when competing. Gymnasts are committed to the squad and their training programmes. They understand that the effort that they put into their training equates to results. Gymnasts are asked to join our competitive acrobatic sessions by head coaches. This process involves several factors such as current partnerships, ability, experience, age etc. Gymnasts in recreational classes are assessed throughout the year. All coaches are a part of this process and feed information back to head coaches. Gymnasts who are not invited to our competitive classes are encouraged to remain in our recreational classes which build a foundation for gymnastics and other sports which gymnasts may be involved in. Recreational gymnasts are able to perform for carers as they are integrated into the annual club display and always have lots of fun in the process! 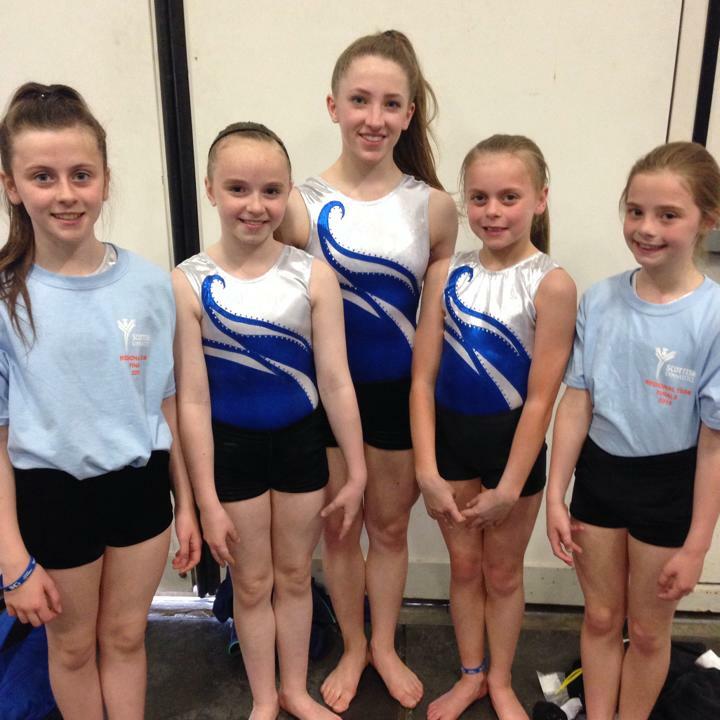 Junior Acro Squad – Gymnasts are invited to join our development squad which is headed by our Lead Coach Heather Mardle. Heather has trained with Bishopbriggs Acro since a young age and was a high level competitive gymnast. Emma Owen works alongside Heather as her assistant coach. Emma is also an ex gymnast and brings a vast amount of experience with her. Gymnasts in this squad focus on developing a solid foundation of strength, flexibility, speed and agility alongside gymnastic and acrobatic skill development. Gymnasts in our development squad may be invited to participate in some introductory level competitions to gain competition experience and to experience all aspects of the sport. The main goal of this squad is to build their foundation skills. We are aware that gymnasts in this program will likely display an aptitude for most sports and are probably participating in other after school activities. This squad provides a great foundation for all sports, not just gymnastics, so is a great start for any athletic career. Senior Acrobatic Squad – Our competition squad is for our high level gymnasts and is headed by our head coaches Claire McLauchlan and Clare Langan. Both head coaches have been coaching for the club for over ten years and are also ex gymnasts of the club. Gymnasts involved in this squad are expected to train at least three sessions per week as well as attending additional sessions throughout the year. Gymnasts are selected for this squad by head coaches and are aiming to represent the club at the Scottish Championships. All gymnasts who are members of this squad are aiming to improve in both technique and performance. The gymnasts are committed to their partnerships, coaches and to their training program. They understand that the effort they put into their training equates to results.